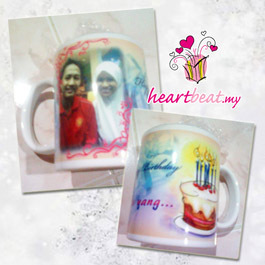 If you are looking for a gift with a personalized touch, a photo mug from HeartBeat may be exactly what you are looking for. 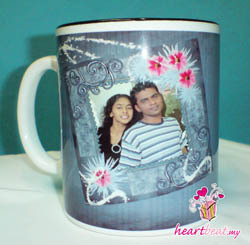 Personalized & unique photo mug captures a moment that you will cherish & remember forever. Photo mug makes a great gift for any occasion. Create a set and commemorate graduations, retirements parties, weddings and other special events in a unique and unforgettable way. Have you seen or heard about Magic Mug? It is our hot selling gift. What's so special about it? The design was very nice & I really like it. I'm really satisfied with HeartBeat for a very fast service & hope to deal again soon. For sure, I will recommend it to others. Thanks! I satisfied with your service and your items delivered to me. I love it and thanks to you. 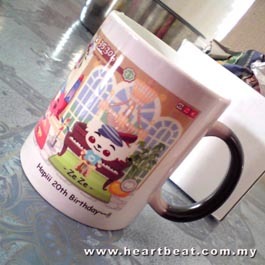 I've ordered many mugs from Heartbeat and so far, I'm really happy with their service. They deliver the mugs on time and their quality is awesome. 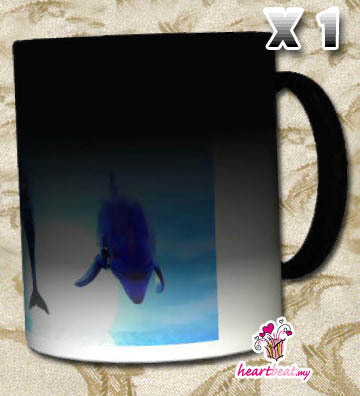 Heartbeat allows us to submit our own designs for the mug and that is what I really love. I think that Heartbeat should come up with more personalized gifts in future. I would personally recommend Heartbeat to my friends and family without any hesitance. The graduation mug that I ordered last week arrived finally. It is wonderful and I wanted to say that I am very impressed with the quality of the mug which is so well made and the artwork and images are so perfect. Both exceeded my expectations. Furthermore, the services provided are extremely fast and web-site instructions are very clear. My niece was delighted and loves it very much when received the mug. I would have no hesitation in recommending Heartbeat to anyone who asks. Thanks again for the mug you did for. When mum’s birthday is coming, I don’t know what gift to buy for her. I think this is the major problem of everyone of us during gift giving. After that, I discovered HeartBeat website and decided to pay a visit..
Wow.. I found that it is the gifts I have been looking for. 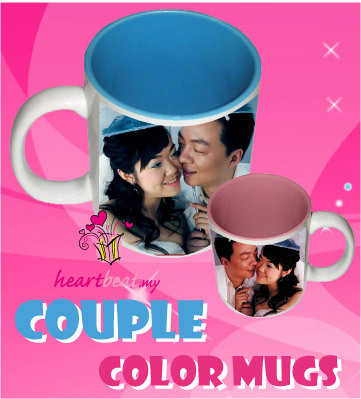 I have bought 4 color mugs for my mum, sister, brother and I. 3 days later, I received the mugs and all are very nice and special. I quickly hide the mugs and shown to my family during dinner time. 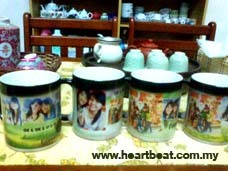 All of them were so surprised and happy with the mugs printed with their photos on it. 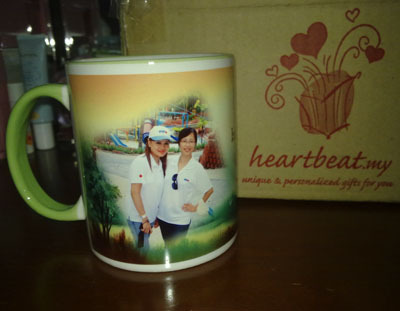 Thanks HeartBeat for the unique mug gifts. I’m happy to introduce this website to everyone.. 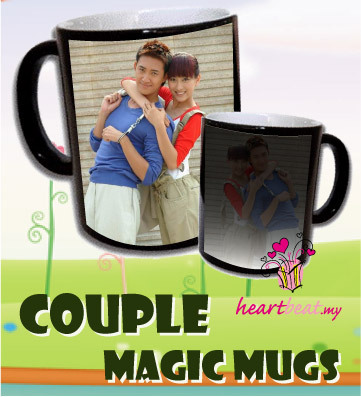 I have ordered seven magic mugs from heartbeat.my. I receive all the magic mugs within 3 to 4 days. The quality is very good, the image are well printed with very clear image. It is first time I try to buy things online. Before this I am worry about is it all online shopping website trustable. But after dealing with Heartbeat, I have changed my thinking. 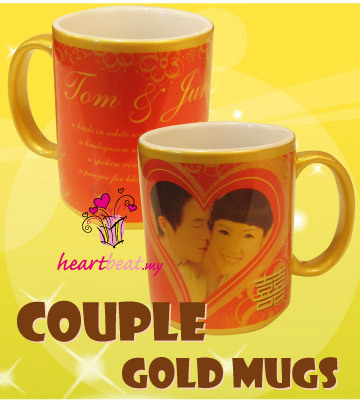 Heartbeat provides many gift ideas with acceptable price, and the services provided are very good. Heartbeat settles my orders in a very systematic and effective ways. Besides, all the instructions are clearly stated, and it is very easy and convenient for me to contact Heartbeat either via email, msn, or sms. So, I am so happy to leave a testimonial here. I wanted to get something special for a special someone on her birthday, so i decided to try heartbeat out. At first i went to heartbeat's setapak branch for a few times but later on i found out that they have move to cheras, so i had to order it online. At first, i thought they cant deliver to me in time but then heartbeat assured me to that they will deliver in time. After payment, my magic mug arrived in just 2 days and the quality is excellent! I personally recomend anyone to try heartbeat out.